Fight back against one of the world’s most lucrative and detestable crimes. In September 2014, FinCEN released an advisory that outlined the financial red flags to help identify activity that may be associated with human smuggling and human trafficking. Verafin’s customer-centric analysis digs deeply to uncover indicators that a customer is involved in human trafficking activity, either as a victim, perpetrator, or front for a larger criminal organization. Human trafficking alerts include a wide range of evidence and visual tools to enhance your human trafficking investigations. 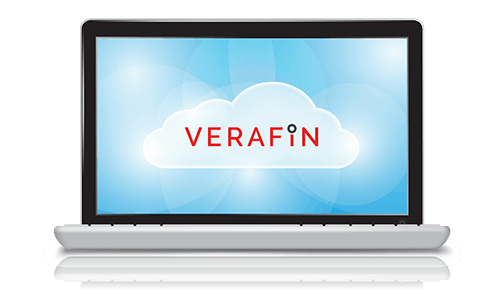 Verafin scans against online adult advertisements and analyze information found within the ads against your customers’ profile data. When a match is found, Verafin shows you what information matched and shows the content of the ad, without you having to leave the alert. Human trafficking victims will often make multiple hotel rentals. Verafin’s human trafficking alerts include a mapping feature that gives you a powerful visual overview of a customer’s rental locations. Each human trafficking alert provides you with an interactive visual layout of the potential victim’s related entities, incoming and outgoing transfers, related purchase locations, and more. In addition to alerting you to customers potentially being victimized by human trafficking activity, Verafin’s human trafficking models help you uncover potential perpetrators and individuals acting as a front for criminal organizations that profit from the exploitation of others. Discovering these criminals within your customer base provides you with the ability to take quick and decisive action to protect the vulnerable and end their suffering. In addition to transactional data, Verafin’s alerts contain important customer profile information, such as age, account balance, and occupation, helping you make quick and informed decisions on how to proceed without having to access multiple systems. Verafin’s human trafficking models aggressively reduce false alerts by analyzing a wide range of data to create an accurate picture of true risk. This includes uncovering activity indicative of human trafficking as well as evaluating information that eliminates suspicion. Verafin’s approach results in highly targeted alerts that help you improve efficiency by narrowing focus on only truly suspicious activity. Each alert provides you with an easy-to-read graph of the customer’s account balance history, helping you quickly observe frequent fluctuations in transactional behavior indicative of human trafficking-related activity. With Verafin’s cross-institutional analysis and 314(b) information sharing tools, investigators can work together to get a complete picture of potential trafficking activity, enhance their investigation, and enrich their SARs. This will help provide better information to law enforcement — and ultimately prevent this terrible crime. Interested in learning more about Verafin's Human Trafficking Detection Solution?